“Feeding a cow corn for the entirety of its life is like putting a human in front of a trough of twinkies and saying, eat.” At least that’s what Mr. Kaforski from the Kaforski Family Farm thinks. 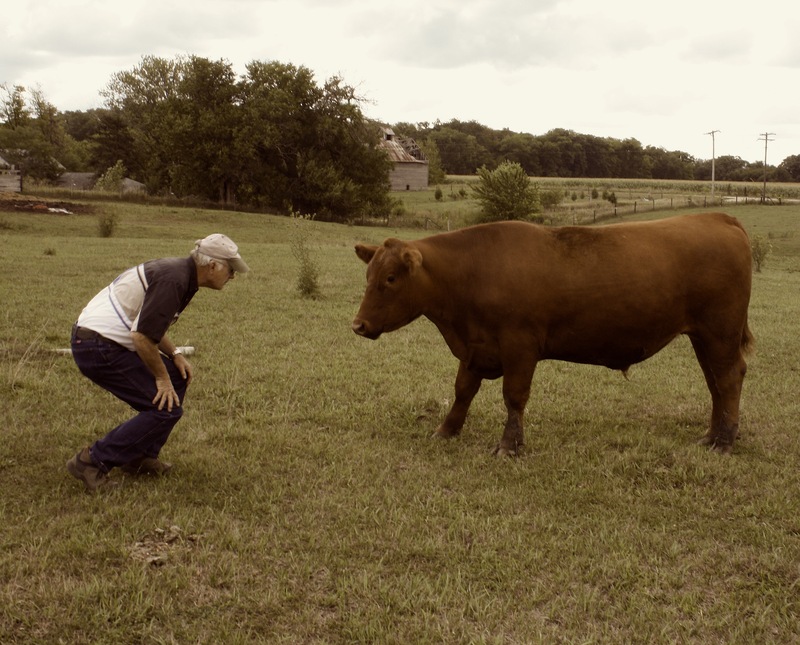 He raises less than fifteen steer on his 300-acre farm, located 65 miles southwest of Chicago. 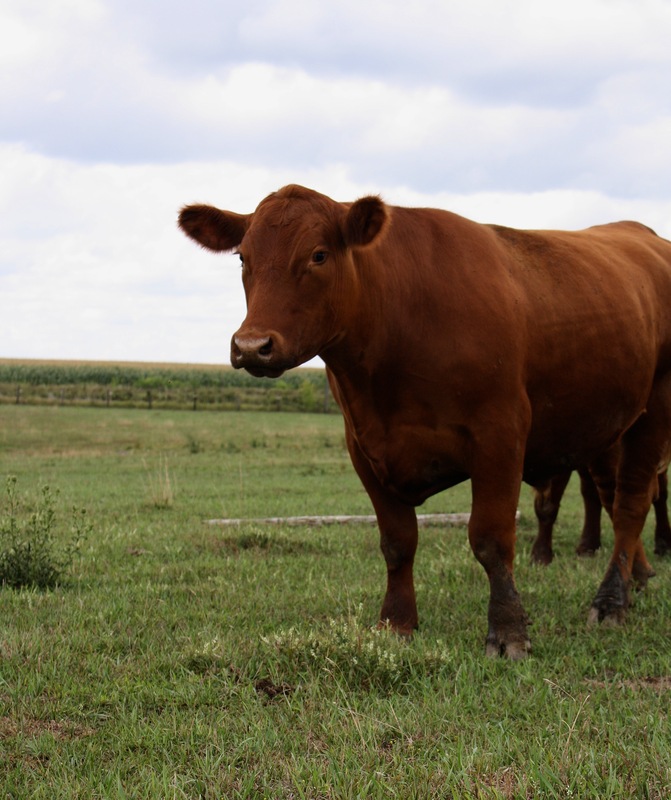 The cattle eat grass pasture and hay until they reach about 1100 pounds, and then they are fed a diet of corn grown right on the farm for just a short period of time. After that, well… they become Red Angus Beef. Mr. Kaforski insists it’s the best beef of its kind, which is why he raises it the way he does. It’s not for money, it’s for taste and health. So what does all this “grass-fed,” “corn-finished” stuff mean for the cow and for the meat it produces? Mr. Kaforski gives us the low-down. Mr. Kaforski says that each of his steers has a distinct personality. That’s all fine with me. Give a cow some grass! It’s more natural and definitely more humane than a factory farm and a trough full of cornmeal. However, it’s not that simple. According to Mr. Kaforski, it’s a land issue. 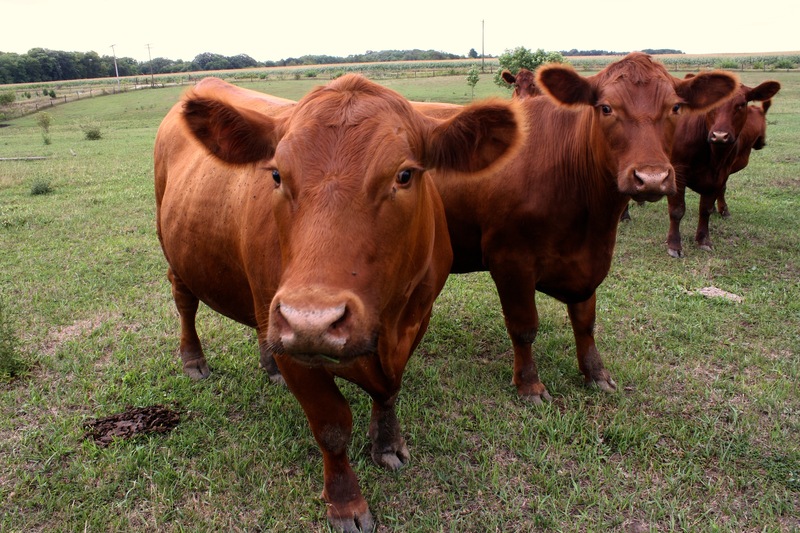 With our beef consumption level as high as it is – 26.4 billion pounds in 2010, according to the USDA – there just isn’t enough space to raise cows the good ol’ fashioned way. Not to mention, it’s a lot more expensive, especially since corn is so heavily subsidized by the government. What’s the solution? Either we choose to eat less beef, or we continue to raise it the way we do. But if you try bite Mr. Kaforski’s Red Angus, he asserts that you’ll never go back to the grocery store for beef again. 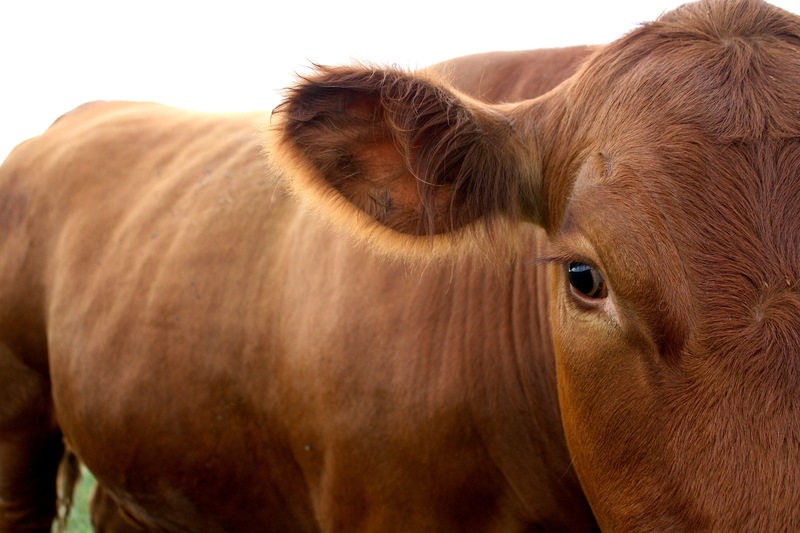 Maybe then we’ll be convinced to pick the first option – eat less beef but go grass-fed. It’s up to you to decide!